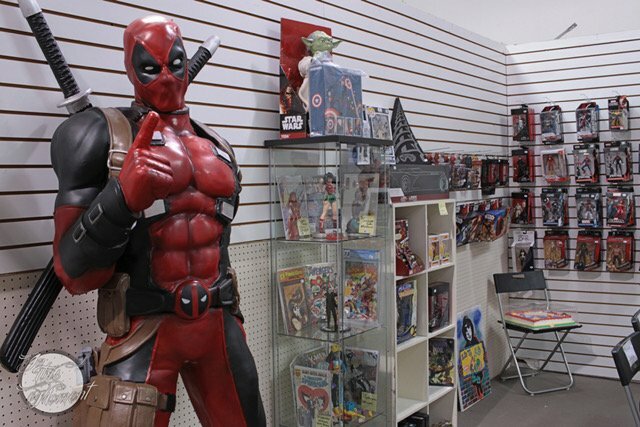 We offer the finest selection of Comic Books in all of Imperial County. Specializing in Golden, Silver, Bronze, and Modern age key issue comics and first appearances from top publishers such as Valiant, Marvel, DC, Image, Dark Horse, IDW, Dynamite, Boom Studios, and more. We also have an extensive stock of Action Figures (Marvel Legends, Star Wars Black Series, DC Batman Animated Series, and more.) We offer the option to create "pull lists" for customers who would like to subscribe to current title releases as well. We are big on in-store events such as autograph signings with some of the leading writers and artists in the comic book industry as well as celebrities. We are the official Free Comic Book Day and Halloween Comic Fest location for Imperial Valley through Diamond Comic Distributors.